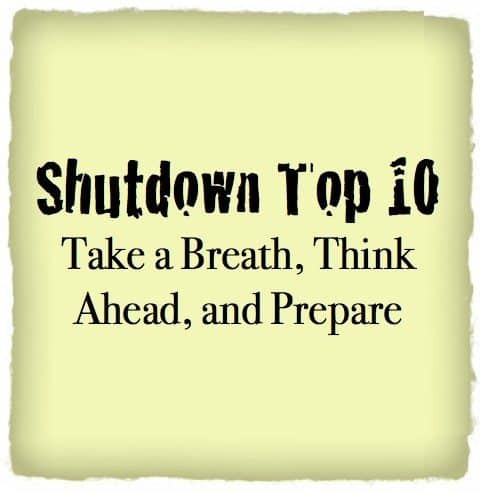 With the shutdown, veterans are busy doing one of three things: 1) planning; 2) freaking out; or 3) yelling at other veterans who are planning because it freaks them out. I’m sure if you are reading this you have already read over some other articles about VA’s Benefits shutdown. Since no one else is writing much about this issue, I thought it’d be important to write something useful. I created an update of what is going on followed by a Top 10 list of things veterans can do to prepare. At the bottom of the post is another list of freebies and discounts veterans can take advantage of during this potential hardship. As of this second, unconfirmed reports are circulating that VA on the Veterans Benefits Administration side is out of money. Veterans Health Administration does have money for this fiscal year. A hearing is scheduled tomorrow in the House Committee on Veterans Affairs. Secretary Eric Shinseki will speak to Congress about the issues. We will know then if VA is out of money or at least when the money will run out. More on the hearing is below. In short, it sounds like VA may be all over the map on what day the money runs out. Here in St. Paul, VBA furloughed a lot of employees yesterday. It was reported by another VA employee that all the backlog claims adjudicators were furloughed today. More on this below. VA and big VSO’s have not provided veterans with any information on what to do during the shutdown. Instead, they all seem to rely on the VA pamphlet to give vets all the information they think we need to know. In the main pamphlet, they have told us all the services that will be or are shut off. In their “lapse” pamphlet, they explain what is being shut down with a little more depth. If you are like me, you have concluded that the pamphlets are pretty much useless. You have probably also concluded that there isn’t a whole lot of data online to help inform you of what to do. This week, VA told us they are also shutting off all communication with few exceptions for Capitol Hill. The House Committee on Veterans Affairs is holding a hearing tomorrow to more aptly discuss how the shutdown will impact veterans. We also know VA will shut off the benefits at some point. Reports have surfaced that “some point” is actually this week. VA Regional Offices have largely been shut down. VA is claiming its claims adjudicators are still working on the backlog, but one VA employee claims the St. Paul VARO furloughed its claims staff today. My guess is St. Paul VARO is not alone. This is not to be confused with VA Health Care. VHA has received funding one year in advance. VBA on the benefits side is the side we are discussing here. Contact your favorite VSO for specific advice on your claim. If they are located in a VA Regional Office that has been closed, you may have a hard time reaching them. If that is the case, send an email to them or contact their national office. I’m trying to find out what veterans can do about VA Health Care if they currently have no service-connected rating. I’ll post an update once that comes through. Regarding C&P evaluations, it is possible that some VHA facilities are still doing things since VHA is still operational. However, if VBA is no longer working at that VARO, then it is equally likely that no new C&P evaluations will be scheduled until this is over. Beyond this, some private businesses are banding together to help veterans who are harmed by this shutdown. One veteran posted this on Facebook, and I thought I’d repeat it on this post. USAA: the company has allegedly offered 0% interest loans to military and veterans who bank with them to offset the lack of funding from the government until the shutdown is over. Sam’s Club: Some Sam’s Club locations (mostly those near military installations) are waiving membership requirements for military personnel, retirees, and their families so they can continue to save on groceries without a commissary. ACME Food Stores: To help military families cover grocery costs while the commissary is closed, ACME food stores are providing a 10% discount to military families from October 6 – October 10. United Supermarkets: United Supermarkets are expanding their already existing military discount program to seven days a week. The discount is offered to all active, retired, and civilian military in the United States. AMC Theatres: Free small popcorn with a government or military ID through Thursday, October 10. Fat Patty’s: Fat Patty’s in Port Royal, SC is offering a 25% discount on dining to all military and government employees seven days a week through the duration of the shutdown. Boston Market: Boston Market is offering a free rotisserie chicken for any military and federal employees with the purchase of a family meal from October 6 thru October 13. Naked Pizza: Naked Pizza is offering a 15% discount on all items through the duration of the shutdown. Valid government ID is required. Whole Foods: All Whole Foods stores in DC, Virginia, and Maryland are offering a free family dinner from 5:30 – 7:00 pm. The Greene Turtle: The Greene Turtle has a $5 menu for all government employees at noon on Monday thru Friday. A valid ID is required to claim the discount. Aside from this, how are you doing in light of the shutdown? Are you confident it will not impact you? Do you think VA should have done more to prepare veterans? Would you like me to write a more detailed guide on ‘just in case’ type scenarios and strategies to help with finances and other issues? 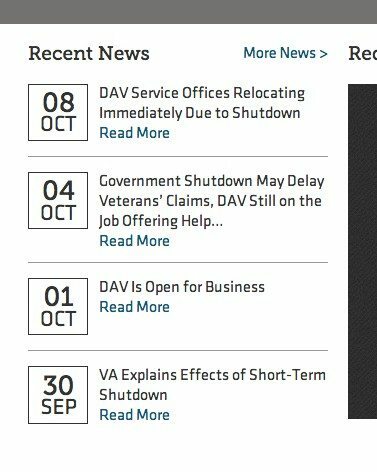 Should VSO’s be helping more through online publishing to alert veterans about these issues? Previous articleWill Chinese Pressure be the Savior to Fix Gov, VA Shutdown? Ben, as a disabled veteran, I truly appreciate your efforts in informing us about things we can do to survive this government shutdown. The National Resource Directory is a website that connects wounded warriors, service members, veterans, their families, and caregivers to programs and services that support them. Hope a veteran can find some help from all the great information here on Ben’s website! Remember, it takes the strength and courage of a warrior to ask for help! Can’t agree more with your comment and resource guide.. Thank you for the solution oriented post. There still seems to be trillions of dollars to chemically-bomb Syria. When will our protesting start? I am already affected and about to go off the grid that I am so poor now that i lost all my pay and I am a full time student who’s university is not getting paid! It is time that, as veterans, we become fiscally responsible. What that looks like for me. Living like no one else, so I can live like no one else later. Skipping crappy 4-6 dollar drinks for a few months, speaking to my PA about nicotine help and quitting, saving anywhere from 4-8 dollars a day. Paying off credit cards. Don’t get a credit card. Who does this guy work for Bank of America? No one wonder they operate in a 50 story building and we live out of a one room shack. It’s time we take personal responsibility when it comes to our pocketbook. Yes we live on little or no money, but there are local resources out there that will help us get on our feet at no cost. This doesn’t give us a reson to go the the bar and make fair weather friends for a night, tab on the US govt. it doesn’t mean we drape ourselves with unnecessary clothing, trying to impress a bunch of people we will never sit down down and share a Meal with.. I know we have sacrificed, but we didn’t make the ultimate sacrifice. Give up a little more, so in the end you can live how you want to live. Well said, Ryan! Fiscal responsibility starts with ourselves, and also our local, state, and federal governments. I have personally been living your advice for some time now as I work on my academics. I will tell you what. I have noticed less stress in my life. I will somehow get through this government shutdown, and the subsequent loss of VA benefits, but I will survive. That is why I like Ben’s website, a perfect social gathering place for fellow veterans to give each other encouragement and advice. Why does everyone blame one side? I bet you do the same thing in your household or probably as those speak you are all alone! It isn’t a “left” or “right” wing at fault but everyone from the Whitehouse down and back up again. Until it is your EARNED money people just do not care how it is spent. For a moron to say about lobbyists on one side is humorous because they appear from the left to the right, you have congress fully invested in a business and they give that company a contract. Why doesn’t anyone bring up the subject of corporate WELFARE. There are so many wrongs that it isn’t even funny. Don’t “Talk” to your congress person, do some work with them and see what REALLY goes on. Thanks for all you are posting. 1) Calling and emailing congressional personnel is effectively been surgically cut off for whole duration of this shutdown. I have called several, visited many websites and each and every one of them state on either resource or even by answering service messages that ANY and ALL emails, phone calls, will NOT be able to be read or ADDRESSED until AFTER this mess is resolved due to minimal or no “support staff” to handle such comments and yes, I find this rather odd because we have essentially been denied true representation by and for the people when they simple make or ensure our voices fall on deaf ears. I am thinking this was carefully thought out so neither side of the aisle would HAVE to read petitions, and outright angered and outraged USA citizens whom otherwise could have placed even more pressure on them. 2) For me personally, because of my 100% S/C P&T Disability, and this after a long paperwork game of cat and mouse, I was able year and half ago to get the VA and Dept of Education of Forgive and Absolve my $48,000. in Federal Student Loans I still owed by the very rules the VA has in place for one to be able to do so ONLY if VA can provide documented proof to the Guarantors/Lendors of those loans that a given veteran is firstmost 100% Service Connected, AND Permanent and Total Disability. 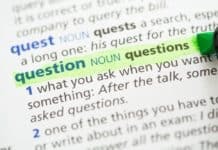 With that said, it also had a HUGE detrimental effect on my credit rating to where I actually had difficulty finding a bank to allow me to set-up an account let alone the option of acquiring a credit card is simply not an option…I realize this would not be everyone’s situation but my inquiries this week have proven this. Sucky even more is even though I have a great relationship with my Property Management/Landlord, whom is one of the larger rental property companies in my Metro City, when I spoke to them about what’s going on with Veteran Disability Compensation and mind you, I pay for every cent of my rent, utilities, not receiving ANY assistance whatsoever and never have even been late with rent for my now 6 years with same Property management Company; they told me that, and I quote, “That is not OUR responsibility or problem because since they have a huge majority of other properties, of which I do NOT live in, that are Public Subsidized Housing, THEY ALSO are being told their payments from Federal Housing Subsidies will more than likely be affected if this is not resolved soon and the ONLY people they could even *possibly* give exceptions to and wave the $50. per every 5 days rent late and potential eviction, are those that are on SSI (Welfare) and SSDI whom pay only a small percentage of total rent but if their payments cease as well we will have no choice to make the call of only giving such people exceptions, not someone such as I”…..EEEEK! Luckily, I DO have enough to live on for a month in advance as well as food BUT, if this goes further into a full default as some of these Tea Party Republicans are now trying to justify as recent as yesterday saying, “a default really would not be that big of a deal”, WHO KNOWS how long it will take for the VA to actually pay us our full November benefits, at whatever any given person’s rating % is and if they do as the Tea Party folks have also alluded to by “prioritizing payments” to only “essential gov’t services such as Treasury Bonds”, well, might be time to get out the pitch forks, and torches and make a mass swamp onto our capitol in a French Revolution kind of way. (Sardonic humor but I think you hear what I am saying since our calls/emails might as well be sent into ethers of outer space as it currently stands. This whole debacle has elevated my PTSD, Anxiety, and Depression and simple statistics mean that hundreds of thousands of Veterans are feeling same way. No, I am not happy that via this website, it is the ONLY METHOD of getting germane information relating to we Veterans. 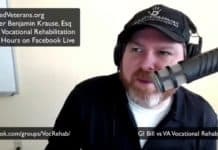 We all or most should have a VA eBenefits account set-up with password to which the VA is supposed to utilize this for conveying information about our benefits, past payments, etc. and not ONCE have the VA even attempted to use THEIR VERY SYSTEM for this, nor have any VSO’s called nor even made any local TV statements. Kind of like through salt onto open wounds, you know! If it comes to USA defaulting and things getting even more nuts and some Veterans I know that do not have full Disability Ratings or none at all, instead of tithing at my church, of which even held off for this month this far, I plan on taking them to get food and/or even local food banks because State of Ohio has stated Congress is doing it’s damnest to cut away even their VERY small food assistance they receive and rather help my fellow warriors that are still fighting for their due compensation that I know and suggest if other Veterans can afford to do same in their circles of Brothers, we surely can do this regardless of what Party Stripe one bears. Right?! Sorry, Namnibor, you are ABSOLUTELY WRONG that this government shutdown is somehow conservatives fault. It is plainly evident that Obama and Reid are deliberately punishing veterans for political points. Veterans are forbidden under penalty of arrest to visit their war memorials, while Obama allowed his crony special interest groups to hold a rally without prohibition. Fallen military service member families are denied death benefits to pay for funerals while Obama supports a new Fed chief who will push for easy money to benefit Obama, Reid, and RINOS at the expense of poor military and veterans’ families. Obama is threatening to arrest and place into prison Catholic priests who give communion to our military service men and women. Obama has ordered military and veterans’ families to give up detailed and invasive, personal health information under penalty of perjury for law enforcement activities under his Unaffordable Care Act. This information will certainly be used against those veterans that resist Obama’s social engineering in America, just like he did with the IRS against conservative veterans. Obama has gleefully shown his hate towards half this country by calling them terrorists, hostage-takers, extortionists, arsonists, and other ill-willed and offensive insults . These comments are unpresidential and show the contempt he has for those veterans who are conservatives. So much for civility, huh? If you want to give information about how to help veterans, like us, of both political persuasions, that are suffering with this government shutdown, then please start posting helpful information here on Ben’s site. However, it is unethical to let go unchallenged any statement that blames conservatives for this government shutdown. 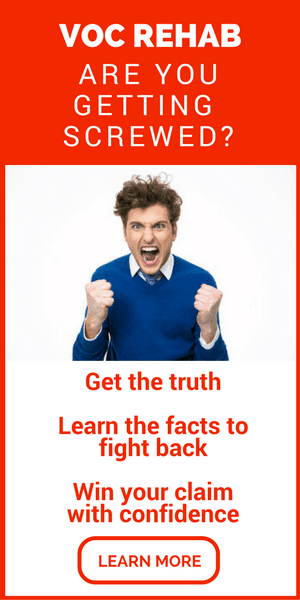 I will use facts to demonstrate the merit and veracity of my statements. Other readers can be the judge as to who is morally right. As for elections go, 2010 was a watershed moment in political history. 2014 will be a repeat. That is why Obama and Reid are manipulating the propaganda in the media against half this county in their attempt to stop the coming tide of political reform. With a conservative political win, veterans will not be held political hostage by the likes of Obama, Reid, and RINOS. And military and veterans’ families will be protected from further punishment in future government shutdowns. For me, it is all about protecting our military service members, veterans, and their families. Party lines divide us.. While everyone of both parties on capital hill get paid. It’s not just one guy. It’s all of them. We have one common enemy, it’s the politician! When the government convinces us of an enemy in the name of peace, they seize control. I agree with you, Ryan. That is why conservatives in America are for limited government. Less opportunity for politicians to punish constituents under the orders of their lobbyists. I joined the military to defend Liberty and the U.S. Constitution, and now big government politicians, like Obama, Reid, and the RINOS, are brazenly targeting the freedoms that so many military service men and women died to protect. I will now only support conservative candidates that are proven to be pro-military service member and pro-veterans. I need to see ACTION, not snake-oil promises on a campaign trail. We all have seen with frustration what happens when lying, conniving, thieving politicians are somehow elected. They mock US, WE THE VETERANS, as they spend all their political capital supporting those special interest groups that could care less about us. Most big government politicians ignore Main Street Americans, while living the High Life with Wall Street lobbyists. I’m outraged at this maltreatment shown to the lower and middle class citizens who struggle to pay their bills and put food on their tables. We all say we are sick of the politicians that betray us after we vote for them, but now is the time to vote on PRINCIPLE for what you truly believe in – LIBERTY and the U.S. Constitution! It’s that easy, my fellow veterans. Just vote on the principle of your convictions to protect US, WE THE VETERANS! Yes, he did engage in political betrayal against conservatives after the 2010 election, but thankfully it has gotten to the point that conservatives are now keenly fixated on replacing sell-outs like him in November, 2014. After reading this, it puts thing into perspective. All hope is not lost for conservatives. Just an update on the state of things here in Utah — I went to the Regional Office here in Salt Lake City to drop off information on my claim, and it, too, is shut down. They have also left the state veteran’s advocacy office and the VSO’s high-and-dry, too. Because it’s a federal building, these agencies are also closed. I hope they learn from this that they should have their own facilities. The VSO’s are so incestuous with the VA. They are supposed to be OUR advocates — not cronies and lapdogs for the VA. I hope they find their own offices rather than continuing to have lunch or donuts or coffee or whatever with the people they work in the same building with. Maybe then they’ll work on our behalf rather than sucking up to their de facto coworkers. USAA was only doing that for military, not veterans. Since the bill passed to ensure they’re paid, they have since rescinded that offer. No offer is available for veterans. I already checked.